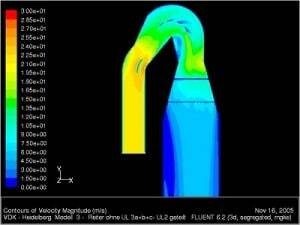 ShayanTarh has acquired Computational Fluid Dynamics (CFD) technology, allowing for the simulation and accurate study of fluid dynamics problems in various industrial applications. 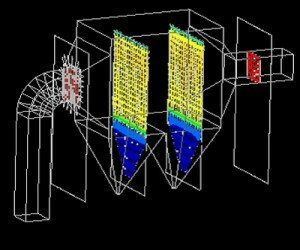 In some typical projects like performance optimization of ESPs or GCTs the implementation of CFD is nececcary. The results of this technology, if tempered by practical experience, can result in optimizing gas flow distribution, thus avoiding gas flow related problems like velocity differentials, recirculation, build-up and high wear. A group of engineers with years of experiences established Fanavaran ShayanTarh Company to improve environmental conditions in different industries since 2007. We are a leading provider in filtration and dedusting air pollution industry. #5 Shervin Building / Sattar Khan Blvd. / Shiraz / Iran. © 2007 - 2019 شرکت فن آوران شایان طرح | All Rights Reserved.